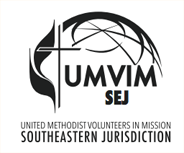 If you would like to lead an UMVIM, SEJ team but don't know where to start, we have broken down exactly what you need to do! Below are the 6 steps that will take you through every step of the process, from planning your trip to your return. Navigate to the Send A Team tab at the top of this website and click on either "USA" or "International" to learn more about the specifics for each step. You can also find out more under our Travel section, where we have compiled valuable resources and information, such as packing lists, travel agencies, State Department informaton, and more. 1. We encourage all teams to have a Trained Team Leader. For a list of upcoming trainings, click here or contact your Conference UMVIM Coordinator. 2. ​Each team will need to comply with their conference's Safe Sanctuary Policy. If your conference does not have one, we have a created one that your team can use, which you will find under All Downloadable Files.